ZTE’s nubia brand just announced the Nubia Z18, the company’s latest flagship smartphone in the ‘Z series’ in China, as it had promised. It has a 5.99-inch Full HD+ 18:9 aspect ratio display with 91.8% screen-to-body ratio, Corning Gorilla Glass 3 protection, is powered by Snapdragon 845 with up to 8GB RAM, runs Android 8.1 (Oreo) with nubia UI 6.0 on top, has a 16-megapixel rear camera with f/1.6 aperture, PDAF, OIS along with a 24-megapixel secondary rear camera for portrait shots. It has AI scene recognition that can recognise 500 scenes. 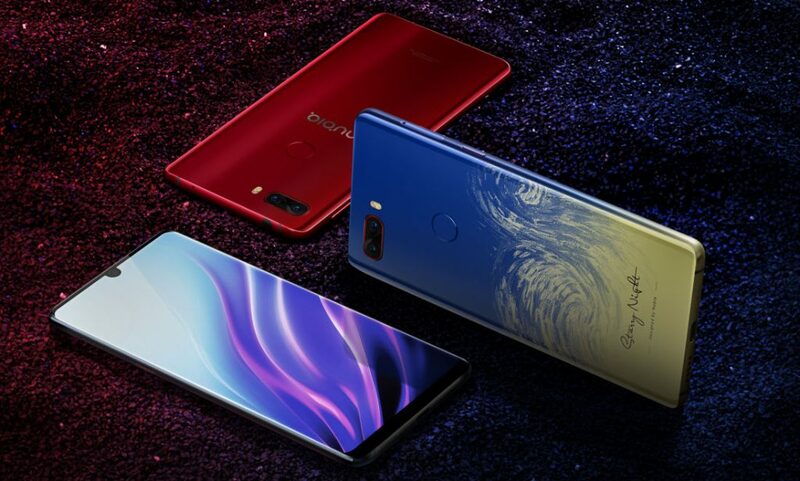 It has an 8-megapixel front camera with support for Face unlocking that scans up to 106 facial points and also lights up the screen when you lift the phone to unlock the phone quickly. It has a glass back that also has a Corning Gorilla Glass protection, all-metal Aluminum alloy frame and comes with a dedicated voice button. There is a fingerprint sensor on the back and packs a 3450mAh battery with support for Qualcomm Quick Charge 4. 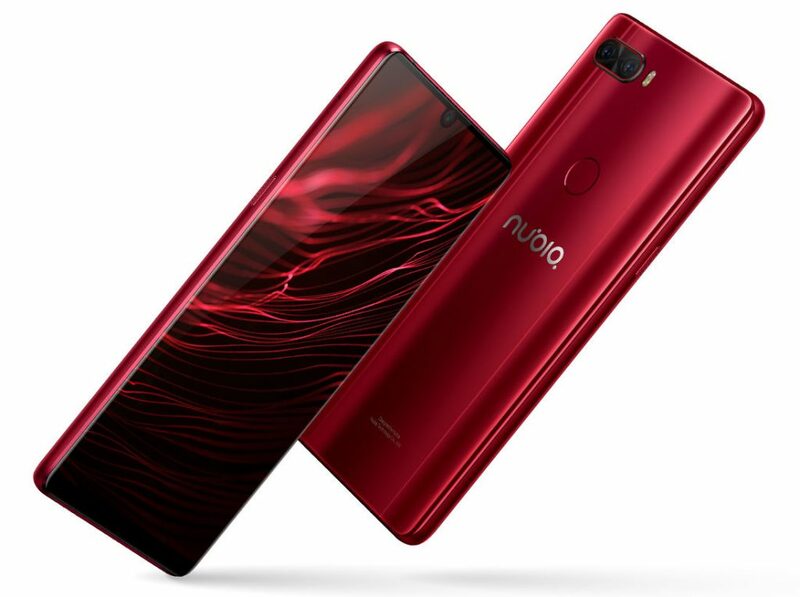 The Nubia Z18 comes in Midnight Black and Nebula Red colors, is priced at 2799 yuan (US$ 409 / Rs. 29,350 approx.) for the 6GB RAM with 64GB storage and the 8GB RAM with 128GB storage version costs 3299 yuan (US$ 482 / Rs. 34,590 approx.). 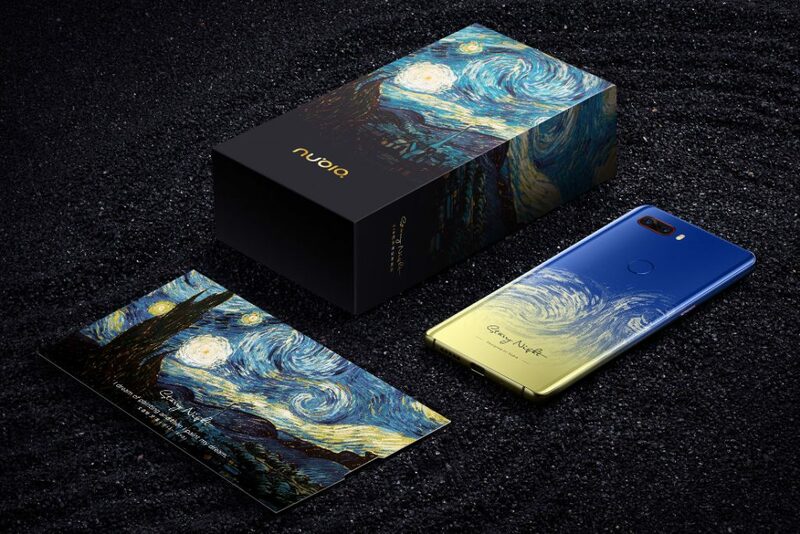 The Limited Edition Van Gogh Starlight Collector’s Edition is priced at 3,599 yuan (US$ 526 / Rs. 37,740 approx.).. It will go on sale in China from September 11th.